Pilar Corrias at the New York studio of Gerasimos Floratos, one of the artists she represents. Portrait by Sarah Muehlbauer. “It is a big deal, but some galleries are 50 years old,” Pilar Corrias asserts with a casual finality when I ask her about the 10 years she has spent running her eponymous London gallery, which opened in 2008, the year of a global financial collapse. Overnight the art market nosedived, and when many spaces were shutting their doors, Corrias enlisted Rem Koolhaas to design her 3,800-square-foot Fitzrovia space. She opened that October with four artists on her roster and inaugurated the gallery with a Philippe Parreno exhibition. Today, she represents 24 emerging and established artists. Corrias’ first exhibition where only Phillipe Parreno’s Fraught Times: For Eleven Months of the Year it’s an Artwork and in December it’s Christmas (October) was on view. Corrias’s mother was a painter, and she grew up looking at art—she counts a portrait of her mother and grandmother by Diego Rivera as part of her personal collection. She studied fine art at the University of Exeter and received an MA in art theory from Goldsmiths before starting at Lisson Gallery in 1993, when she was 23 years old. “I was hired as a receptionist,” she recalls. She stayed on for 10 years, eventually becoming a director before leaving to join Haunch of Venison gallery in London. Her next big step was launching her own space with Parreno— showing just one work, Fraught Times: For Eleven Months of the Year it’s an Artwork and in December it’s Christmas (October). 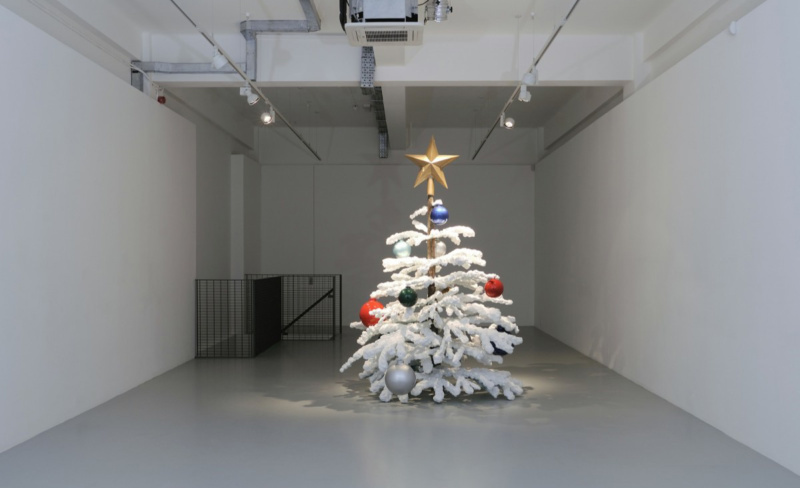 The realistic cast-aluminum Christmas tree sculpture was Parreno’s first tree, and marked Corrias’s place among the handful of high-profile female dealers in London, including Sadie Coles, Maureen Paley, Victoria Miro and Alison Jacques. For the gallery’s 10-year anniversary, Corrias is planning a Groundhog Day event on October 2. She has asked Parreno to do another solo show—same place, same time, new work—but this time with a “dead” Christmas tree with no decorations, cast from stainless steel and painted to look frozen. Coinciding with Frieze London, Parreno’s anniversary exhibition celebrates the past, while the gallerist’s fair booth highlights the future with a presentation that includes works by only the female artists she represents: Koo Jeong A, Cui Jie, Helen Johnson, Tala Madani, Elizabeth Neel, Christina Quarles, Tschabalala Self and Shahzia Sikander, among others. 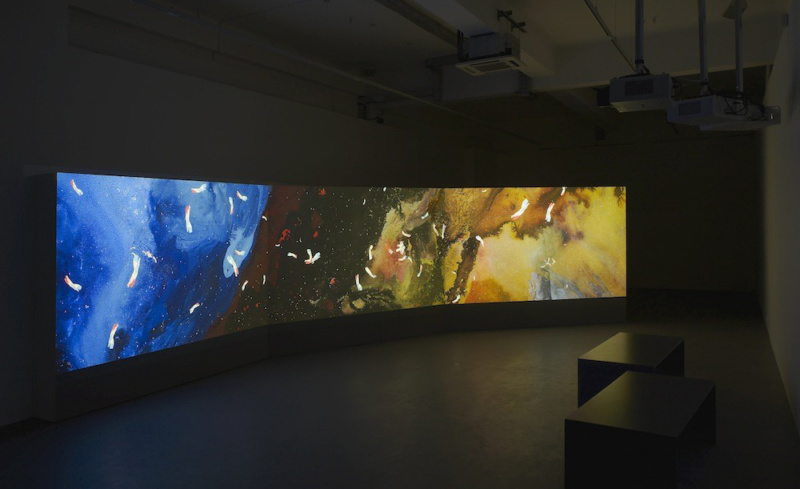 Shahzia Sikander’s Parallax, 2013 at Pilar Corrias London space. With Frieze and several institutional shows of her artists planned for this fall, it’s shaping up to be a very busy anniversary. This seems to invigorate Corrias, who has consistently and unflinchingly fostered unconventional talent across both gender and age lines. When asked about the next 10 years, Corrias’s future plans include one day having a much larger space. For now, she is focused on continuing to do exhibitions and build a roster of artists that reflects a global art world, one she has undoubtedly helped to create.